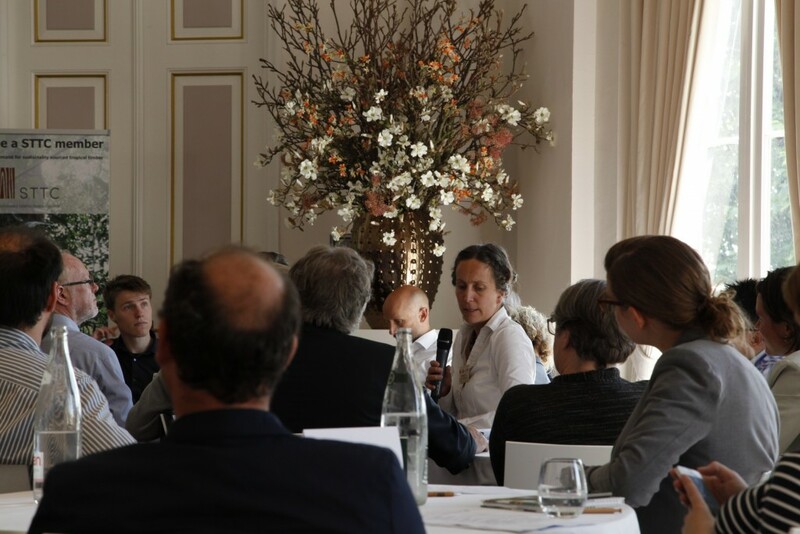 The inaugural Sustainable Tropical Timber Coalition Conference proved a major success, attracting a capacity audience from across Europe and concluding with host city Rotterdam signing up to join the organisation. Headlined ‘Real impact through timber purchasing policies’ and co-organised by the Dutch Ministry of Infrastructure and Environment (MIE), the June event focused on the power of procurement policy to drive sustainable tropical timber demand, which, in turn, can stimulate sustainable forest management in supplier countries. It attracted a sell-out 100-strong audience from across Europe, including STTC members and other delegates representing the wider timber trade, end users and specifiers. Hans Stout, Programme Director of STTC founder partner IDH-the Sustainable Timber Initiative, emphasised the interdependence of sustainable forest management and viable markets for its products. “That’s why STTC was formed, to stimulate sustainable tropical timber demand across Europe,” he said. And MIE Sustainability Director Hannie Vlug highlighted the market impact government sustainable timber procurement policies (STPPs) could have; contributing to a rise in sustainable timber’s Dutch market share from 13.4% in 2005 to 74% in 2013. “Government policy incentivises companies to bring sustainable products to the market,” she said. Her point was underlined by figures from researcher and Chatham House Associate Duncan Brack. “In most developed countries, government buying accounts for 10-12% of GDP, but its impact on wider business procurement can increase that to 20-40%,” he said, adding that 33 governments now had STPPs. Stephane Glannaz, Chief Commercial Officer of supplier Precious Woods, said STPPs could be encouraged by publicising broader benefits of sustainable forest management and linking it to ‘hot topics’, notably climate change mitigation. And Peter Gijsen, Corporate Social Responsibility Manager of construction giant Royal BAM Group, stressed the growing market influence of his sector, given its increasing focus on sustainable materials procurement. The conference additionally featured workshops with themes including designing procurement policies, financial instruments for driving sustainable timber markets and improving tropical timber’s image. André de Boer, Secretary General of STTC Principal Partner the European Timber Trade Federation, concluded by saying STTC initiatives were now succeeding in growing sustainable tropical timber sales and he urged more companies and organisations to join. Subsequently the City of Rotterdam itself announced it was becoming a member. Delegates described the Conference as ‘positive’, ‘impactful’ and ‘delivering important messages and useful and eye-opening information clearly’. “We were shown that the tropical timber sector should not be afraid of high environmental targets,” said one attendee, Ewa Bazydlo, Environmental Manager of UK importer/distributor James Latham. “And we learned that it can develop a positive image and generate stronger market pull for sustainably sourced tropical products”. The presentations and outcomes of the workshops can be found here.